< Salmon and Trout Fly-fishing Tuition – Courses in Wales and Scotland on double hand casting and fishing for trout, sea trout and salmon from an AAPGAI Master Fishing Instructor and Senior Assessor. Courses in Wales and Scotland on double hand casting and fishing for trout, sea trout and salmon from an AAPGAI Master Fishing Instructor and Senior Assessor. My name is Illtyd Griffiths and I have fly fished for nearly sixty years. I caught my first brown trout at the age of four and my first sea trout on a fly when I was twelve. Since those life-changing events led me into fishing addiction, I have fished extensively for trout, salmon and sea trout in all parts of the UK, and as far afield as Argentina, Canada, Russia and Norway. I still fish for sea trout close to home in mid-Wales, and this fishing is still my greatest passion. I have learnt that the ability to cast a fly well is essential to get serious enjoyment from fishing and love teaching other people. I am an AAPGAI Master Fishing Instructor and Senior Assessor in both single handed (Trout/Sea trout) and double handed (salmon) disciplines . This is the most prestigious and difficult to attain qualification in the UK. It demands the best training and technical expertise to assess most effectively your casting, rectify any problems, and enable you to get the most out of your fishing. I also am fully insured, certificated for Emergency First Aid, and hold a CRB police disclosure certificate. I organise courses in Wales and Scotland on double hand casting and fishing. I also offer two hour, half day and full day tuition both at home and on the River Wye in both single and double hand casting. Fly dressing instruction and entomology. April 3rd, 4th & 5th; and May 20th, 21st & 22nd; and May 23rd, 24th & 25th. These popular courses are very well received with many of the course participants returning annually. We cater for a wide range of abilities from complete beginner to experienced salmon anglers wishing to learn new techniques. The three instructors, Glyn Freeman, Jonathan Morris and myself, allow us to spend plenty of time for one to one instruction during the three day course. Course numbers are limited to eight per course. The courses are held on Lower Kinnaird on the Tay which is ideally suited for the purpose. This beat has easy wading with a number of interesting and productive pools. The Tummel, which is a spring river, enters at the top end of the beat. This means that during our courses there is an excellent chance of encountering a prized spring salmon. We enjoy lunch and evening meal at the well appointed hut on the beat which allows the anglers, especially on the May courses to go out and fish after dinner. We stay at Dalshian House www.dalshian.co.uk which is both comfortable and convenient and provides us with an excellent breakfast before the fishing. Instruction and Guiding from three AAPGAI Instructors for all levels of experience and ability. Accommodation and breakfast for two nights at Dalshian Guest house. Lunch and dinner prepared in the hut for three days. All tackle requirements if needed. 27th – 28th April, and 4th – 5th May 2019. These courses are for anglers from beginner to experienced salmon anglers wanting to improve their casting with a double handed rod. Each course is held on two weekend days with one day from the left bank and one on the right bank. Courses are limited to four anglers per course. Jonathan Morris and I – both AAPGAI instructors will be running the courses. They will be advertised both here and by the Wye & Usk Foundation. Two days instruction from two instructors for four rods. Any tackle needed for hire on the days. Specific individual instruction in any technique of double hand casting. I have hosted trips to Patagonia and Russia in the past, but I now tend to go fishing with friends to Patagonia in February and British Columbia in September. I have a wealth of experience on these destinations and I would be more than happy to give my advice on when, how and why one should go to these far flung destinations. 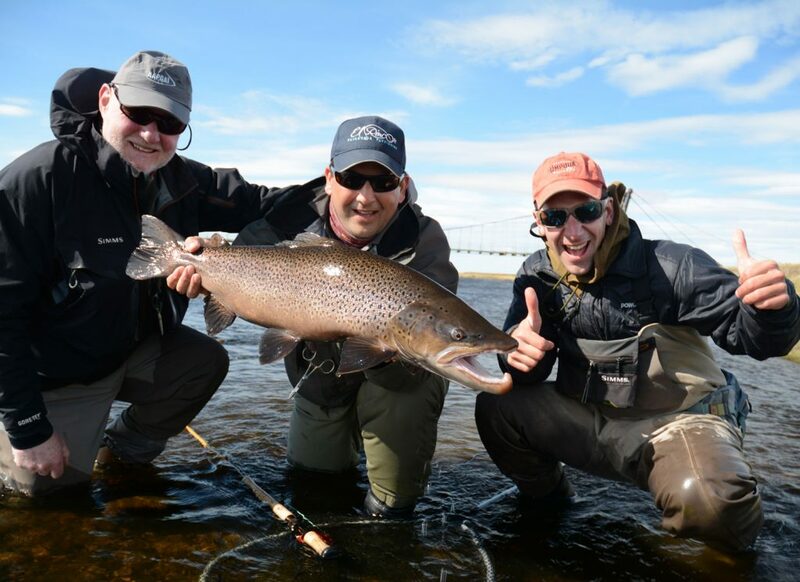 A trip to Rio Gallegos is the ultimate destination for the angler wishing to enjoy some of the best sea trout fishing in the world. The Patagonian sea trout are legendary both in size and in the fighting ability. The average sea trout weighs a hefty 8-9lb and every year fish of upward of 20lb are landed. One of the great added attractions of these fish is that they are caught in the day using nymphs, salmon hairwing flies, rubber legs, dry flies or in higher water tube flies. I go there with friends every February which is late Summer in Patagonia. I have fished this river every year for 15 years and will be more than happy to advise both on the fishing and travel. The fishing here is varied with 45km or river. There is excellent trout fishing which average 2.5lb (and some sea trout) in the Penitente and sea trout up to 20lb in the Gallegos. 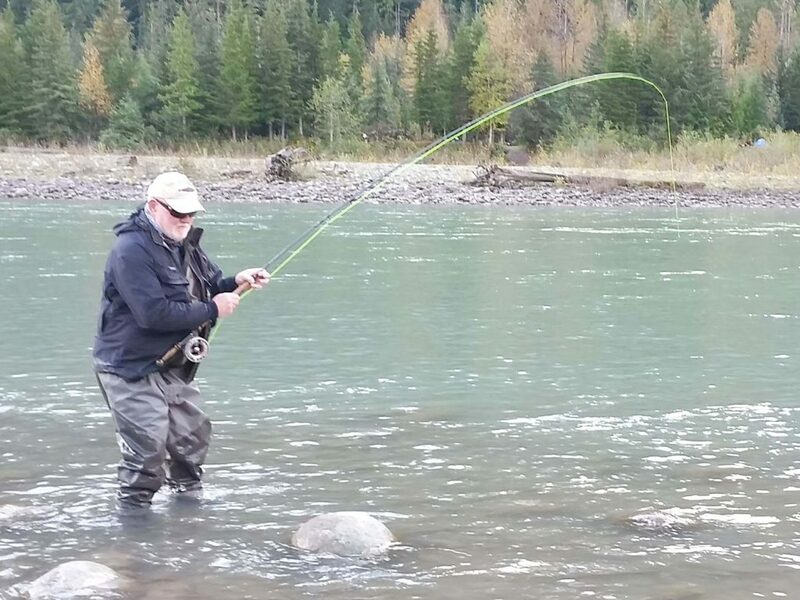 I go to Canada to fish for steelhead every September. This is the prime time for Autumn fish. I am going with friends this year and would recommend this fishing. I use Salmon Junkies as my outfitter. 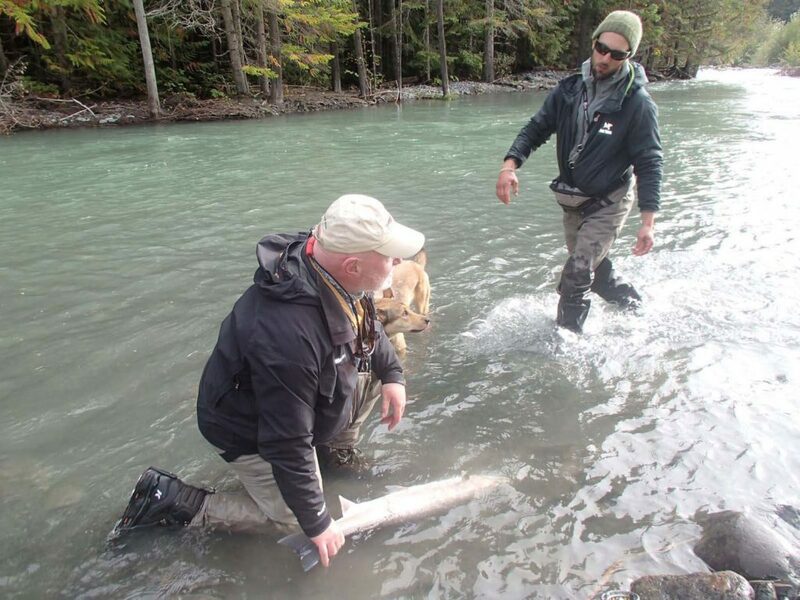 The fishing is on the Skeena, Copper a Kalum rivers. There is one guide per two anglers, who are not only experienced anglers but also very helpful. If you are interested and wish to have more information before taking the plunge please send me an email or give me a call and I will do my best to answer your queries.